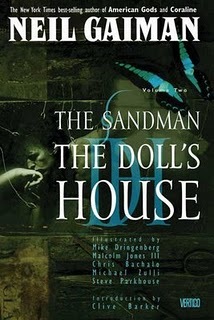 The Sandman collections are all, in their ways, about storytelling. In the first issue of Volume 2 is where it first becomes so patently obvious, though, as a man in the African bush tells a story to his grandson, as part of his coming-of-age ceremony: a tale of the great queen who once ruled their land, when it was a lush greenland instead of a barren desert, when their tribe, the first civilized humans of all, were wealthy and powerful; and how Dream of the Endless loved her, and how she rejected him out of fear; how he seduced her, but when the sun saw what they had done, it threw down a fireball that destroyed her city and blasted the land sterile; how she rejected him again and a third time, and how he then sentenced her to an eternity of suffering in Hell. We’ve met Nada before, when Dream journeys through hell, and says that he has still not forgiven her. The story itself is enchanting, authentically flavoured and authentically degraded from what the truth might have been, with bits of other parables and creation myths bleeding through, but perhaps most tantalizing is the hint at the end of the issue, that the women of the tribe tell another story. We don’t know what it is — it’s never told to men, after all, and the women tell it in their own private language — but the narrative implies that it may well show a very different side of the story. I would give anything, to have your gifts. that would live on long after I am dead. I’d bargain, like your Faustus, for that boon. (It’s worth noting that Shakespeare speaks in iambic pentameter, and Dream does when speaking to him, though I don’t know if that’s as apparent to ears that aren’t as particularly tuned to that rhythm as mine are, thanks to my job). That moment always reminds me of Schmendrick the Magician in The Last Unicorn, saying that he would write his talent a letter, if he knew where it lived. Well, Dream decides to cut a deal with the man who will be William Shakespeare — to open a gate within him and let the stories through. We’ll be seeing him again, and Hob, and some of the others that the undying man’s path crosses through the years. These stories are not the bulk of the collection, though. The main thread focuses on Rose Walker, who has become something called a dream vortex — precisely what this is or how it happens is never quite clear, but what it seems to mean is that she can make dreams collide with each other, which could, if left unchecked, permanently damage the subconscious minds of an entire version of reality. Her mere existence sets of a chain of coincidences which really aren’t, leading her to find her unknown grandmother (Unity Kinkaid, who we met in Volume 1, who was raped and gave birth to a daughter, Rose’s mom, while she was comatose from the sleeping sickness) and her long-lost brother, and accidentally leading Morpheus to recover four dreams that wandered off from his realm. Rose also wanders into a convention for serial killers, which Gaiman describes as “utterly banal evil” in the Companion, and it seems especially so right after reading the true horror story of Preludes and Nocturnes. Overall, though I like Rose, I find her main thread a lot less compelling than the side bits. Parts of it become hugely important later on, but the setup is pretty bumpy. Rose will figure in later, as will other tenants of the house where she stays while searching for her brother. Several of the new dreams we meet will have a farther purpose to play. We meet Matthew, a raven (because the Dreaming must always have a raven), who’s new to this strange form of immortality and still adjusting to his responsibilities. It’s the story of Lyta Hall — who managed to gestate a child in the Dreaming for over two years, — that feels the most weird and forced — two of the rogue dreams kidnapped her (dead) husband and put him in a little bubble dreamworld so they could use him; he’s the Bronze Age Sandman, and it still feels too much like Gaiman’s trying to shoehorn in what was supposedly his base canon. This volume clearly demonstrates that the story does better when he shrugs that off. I read this book quickly only because I kept hoping it would get better. There was good material in there, somewhere, I feel sure. It never delivered, though. The characters were flat — no dimension, no development, nothing to make you care about anyone in the story. The story did not hang together at all — no one’s motivations made any sense, there was no sense of cause-and-effect, actions didn’t have plausible consequences… it was a distractingly unsophisticated muddle. The dialogue was distractingly unnatural — stilted in the extreme, not to mention the bizarre accents she had her lower-class characters using, mixing Middle English, early modern slang, and Victorian Cockney cant indiscriminately. And the element of “magick”, as she would insist on spelling it, just plain didn’t make sense. One of the primary mandates of writing fantasy is that magic has to have rules, it has to have constrictions and consequences, and the reader has to know what those are, but there was no explanation whatsoever here. Rather, it felt like Coulter just sort of flung “magickal” themes at the page in the hopes that something would stick. The book would’ve been better off without that element at all — it just made a further mess of an already muddied storyline. 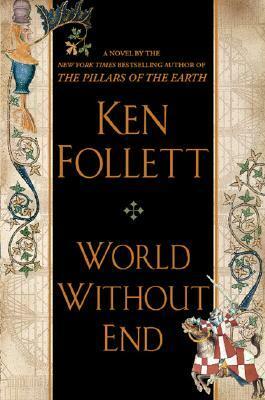 The book also bothered me as a historian — I know that *all* historical romances take certain liberties. You can’t be completely faithful without getting bogged down in details that harm the story. I get that. I’m generally willing to cut fluff fiction a lot of slack — because if it knows what it is, if it isn’t trying to take itself seriously, you can get away with a certain degree of historical vagueness. But this? Coulter goes to the trouble of setting it in a fairly obscure period, or at least one that’s less often dramatized in novels of this kind (late-13th century England, early in the reign of Edward I), setting it up as though that’s going to matter in some way… and then does nothing with it — nothing at all to show that she has any understanding of what late-13th century England was like, or that she did any research on the royal court beyond the names. The personalities of both the time period and the figures in it are just plain wrong. A lot of it was really just painful — the informality of the English court more than anything, for my comfort. 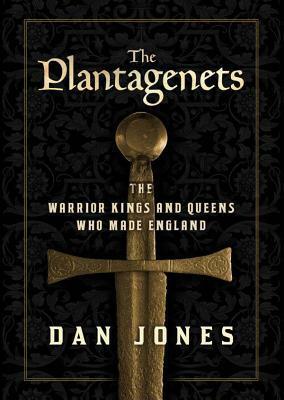 Coulter had the king and queen doing things and saying things that the prideful Plantagenets just plain would never have said or done, tolerating horrific affronts to royal dignity, shrugging their shoulders at the ridiculously vulgar way their courtiers were acting… it was absurd. I freely grant, this might not bother someone else, reading the story with less awareness of the historical realities — but compared to some of the really stellar historical fiction I’ve read in the last year, this was a jarring disappointment. The reason I qualify this book as “romance?” with a question mark is because… well, I know it’s meant to be a medieval romance. I know we’re meant to believe that Garron and Merry have some sort of attachment to each other and will live Happy Ever After. The trouble is that none of that shows in the storytelling. There is nothing in the book to convince a reader that they have any real feeling for each other. They act and react like automatons — and bizarrely programmed automatons at that, taking action only because someone input that stimulus into their systems, not because any emotional or psychological response warrants it. Their “romance” also takes a backseat to the bizarre fantasy elements involving Merry’s mother. 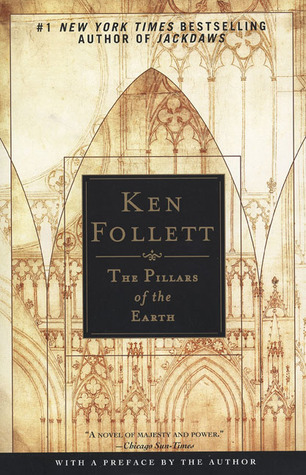 The whole story takes a sharp left turn into a ravine about two-thirds of the way through, which only augments the discombobulated feeling of the entire book. 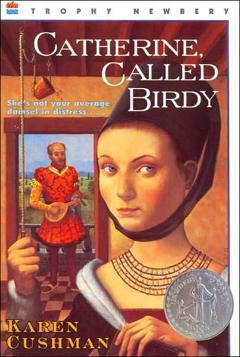 This was my first Catherine Coulter, and, after having heard good things about her, I was really disappointed. I may look for other books of hers that have been more highly rated… but I won’t be bothering with it for a while, at least. 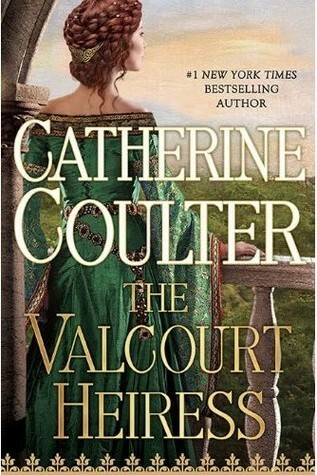 Overall, The Valcourt Heiress is a confusing, unengaging, ham-handed quasi-historical mess. I do not recommend it, unless you’ve a penchant for literary masochism.